Ohr HaLimud is a school and tutoring center for children with Dyslexia. Sinai services children and young adults with special needs in the New Jersey and New York area. Facilities in several mainstream schools allow our students to integrate within the Jewish community while receiving the individual attention that they need. 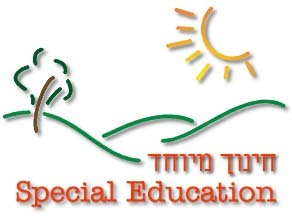 The leading special education service for Jewish children, striving to meet their needs through professional services of excellence so that their true poetential can be realised. A Consultation Service with a fee schedule that provides advice on program development, parent/professional collaboration, fundraising, and disability Awareness Training. Cahal can offer advice on starting similar programs. Contact Ken Segal, Program Officer For Children's Health Grants. Segal can provide information about grant programs and parent advocacy. Butler, a Wexner Fellow pursuing a masters/Ph.D. In Special Education/Educational Administration and Policy Studies, is the parent of five children, three with diffrent special needs. She can provide advice on parent advocacy and support, Teacher Ed. The Center coordinates a variety of prgrams including: Volunteers in special education; vocational preparation program; guidance and consultation program for parents and professionals; Substance abuse and child abuse prevention programs; Resource room initiative, a masters degree in Special education in cooperation with the City University of New York; telecommunications center; the BJE/Chai Lifeline media link; job opportunities; city, state and federal government relations; programs for the gifted and web site. The Association (AJSE) is a membership organization of special educators, human service providers, parents and interested persons. The AJSE conducts workshops, seminars, conferences; maintains a curriculum, materials and mediaspecial education resource center; and publishes a professional Jewish Special Education periodical called, THE JEWISH SPECIAL EDUCATOR. Jewish Education Service of North America, created by Federation as an educational research agency and clearing-house for information, can help callers locate programs in their communities and provide them with a local contact at their federation or central agency for Jewish education.